Hi there! It’s Monica again. And today we’re going to talk about this issue… oily hair. So many girls and women suffer from oiliness and greasiness that we can’t pretend that this issue doesn’t exist. Why don’t we speak up about it? First, I’m going to make a list of the most common causes of hair oiliness. Also, there will be some tips and tricks on how to care for oily tresses. And the central part – the top list of the best shampoos for oily hair. There will be a couple of dry shampoos and conditioners as well, so stay tuned. Wonder how to choose the best shampoo for oily thin hair? Or you want to find the right conditioner for oily scalp? Not sure what is the best shampoo for oily color-treated hair? Don’t worry – we’ll have this covered! 1 Why Does Hair Become Oily and Greasy In the First Place? Why Does Hair Become Oily and Greasy In the First Place? Before choosing the best shampoo for oily hair, you may want to find out what actually causes it. Is it just genetics or environment is also to blame? Here are the most common causes of oily and greasy hair. Sometimes, it’s just heredity. Some people are more likely to have oily hair than others because their oil glands produce more sebum. There’s not so much you can do about it. For starters, select a shampoo and a conditioner that will suit your hair type. Hormonal imbalance or an underlying illness. In that case, oiliness and greasiness are just after-effects. You have to visit your general practitioner or other medical professionals to find out what causes the hormonal imbalance. Teens, pregnant women, and those who take birth control pills are likely to have oily hair because of hormonal fluctuations. Skin conditions. Seborrheic dermatitis and psoriasis both can be associated with excessive production of sebum. An unhealthy diet, stresses, and nervousness. These are the causes of many health issues, including excessive oil production. Fine and straight hair can look greasier than thick and curly one, even if it secretes the even amount of sebum. The thing is, waves and curls keep the oil near the roots, and thick locks cover more oil than fine hair does. Frequent washing. It’s a vicious circle: the more you wash your hair, the faster it becomes oily. That’s because frequent washing stimulates sebaceous glands to produce more oil. Instead of washing your locks every day, try using a dry shampoo or special shampoos for oily hair. But don’t get carried away – dry shampoos also add build-up, and you need to clean your hair and scalp on a regular basis. Washing it every other day or less frequently will probably be fine. Water temperature. Many dermatologists recommend using warm but not hot water to wash your hair and rinse it with cool water but not too cold. And don’t scrub your scalp too hard – this also can stimulate the sebum production. Wrong hair products. Select a shampoo, a conditioner, and other styling products that work for your hair type and texture. This may take some time and money, but the result is worth it. Heat styling. Extra heat stimulates sebaceous glands to produce more oil, so try to cut down on heat styling or at least make sure to use the lower temperatures. Touching. Every time you touch your hair, you just make it more oily and greasy because your scalp produces extra sebum. The same holds true for frequent grooming. Try to brush hair less throughout the day since brushing moves sebum from the scalp down the hair shaft, so your mane looks greasy. Dirty pillowcase. When it comes to making hair less oily, think about your everyday routine. Dirty pillow covers can not only transfer the grease back to your hair but also aggravate facial acne if you have any. Want to kill two birds with one stone? Just go change your pillowcase. Wearing caps. You’ve probably noticed that in cold weather, your hair tends to become oily and greasy faster. That’s partly because of hats, head scarves, and other head wears. You definitely should wear a cap when it’s cold and windy outside, that’s for sure. Choose caps that are made of natural materials. So, these are the common causes of greasiness and oiliness. What can you do about them? If your health and lifestyle are fine, take some time to pick the right hair products. And I’m about to introduce you to the best shampoos for oily hair. Here are my favorite shampoos and conditioners for oily hair. Among them, there are the best shampoos for oily thin hair, the best nourishing conditioners, and the best dry shampoos for oily hair. Actually, there are as many as 28 products, so equip yourself with patience and let’s go. This dry shampoo with botanically-based key ingredients does a great job at cleaning hair without water, eliminating oil, and adding volume and texture. Oat milk is supposed to soothe and protect your locks and scalp, while corn and rice starches provide a powerful cleansing action. The product leaves a bit of that white residue, so you probably want to brush your hair properly to get rid of it. Still, I find this product to be the best dry shampoo for oily hair. Beware: do not use any dry shampoo with heat – this can damage your hair severely. This product, enriched with deep-sea minerals, is recommended for normal to oily hair. It moisturizes and nourishes your tresses without weighing them down, making them soft and smooth. Plus, it seems to make hair fuller, give it body, and help with static and flyaways. For better results, use this shampoo with the Nexxus Hydra-Light Moisture conditioner. 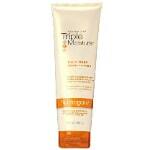 helps to reduce frizz and flyaways. 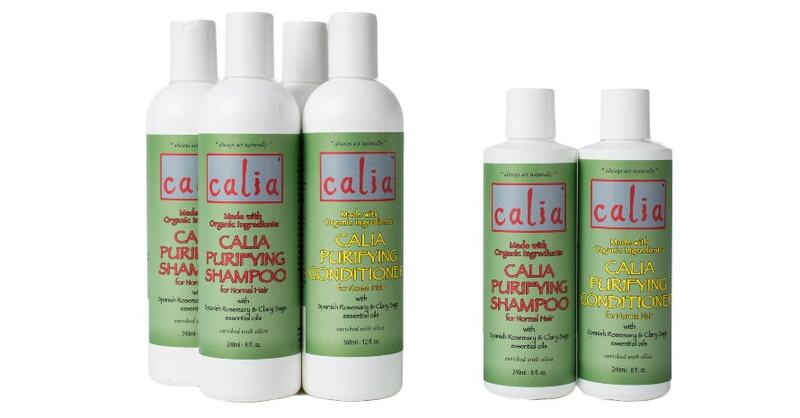 Made with organic and natural ingredients, this shampoo contains no harmful toxic chemicals. It’s free of SLS, PG, sulfates, parabens, and many other chemicals that are considered to be harmful to your hair. Also, this product is cruelty-free. What’s more, each shampoo tube is recyclable which is quite a rare feature. It’s suitable for all hair types, including color-treated tresses. This shampoo contains nourishing plant extracts, essential oils, and fatty acids to give you clean, soft, and shiny locks. To achieve better results, use it with the Christina Moss hair conditioner. Do you have that feeling that your hair has lots of build-up on it? 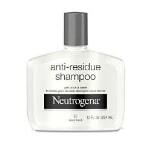 Well, this Neutrogena shampoo will definitely help you to get rid of the residue caused by other shampoos, conditioners, and styling products. Just don’t overdo it: you need to use this product once a week or less frequently. Otherwise, it may dry your precious locks. So, use your favorite daily shampoo for the rest of the week. This anti-residue shampoo pairs well with the conditioner of the same brand. When the shampoo removes the residue thoroughly and boosts volume, the conditioner moisturizes and softens your tresses. This Neutrogena conditioner is developed to treat extra dry or over-processed hair. Also, it helps to reduce frizziness without weighing hair down. What a nice combo of shampoo and conditioner for oily hair, huh? also, the conditioner eliminates frizz. shampoo may cause tangles if used without the conditioner. Along with Moroccan argan oil, this shampoo contains the high content of antioxidants, fatty acids, and vitamin E. This product will moisturize and nourish your tresses, making them shiny and smooth. It seems to be effective for all hair types, including fine, damaged, and dry hair. You can also use this shampoo on color-treated hair, but the color may fade after a couple of washes. In a nutshell, I find this product to be the best shampoo for oily thin hair. And the price is reasonable for such quality. isn’t that safe for color-treated hair – after using this product, the color may fade. These products are a real catch for those suffering from thinning hair or hair loss. They thicken your locks, strengthen them, and add volume. After just a couple of washes, hair looks thicker and fuller. These shampoo and conditioner are made with organic ingredients such as aloe vera, coconut oil, orange peel, and others. All these natural components help to restore natural hair moisture and treat split ends. All in all, I believe this is the best shampoo for oily color-treated hair, and the conditioner just amplifies the effect. Looking for something to help with greasy, color-treated hair with flakes? Try this one out. This gentle clarifying shampoo removes excess oil and build-up, helps to control moisture, and adds body and volume to your hair. It’s mild enough for those with color-treated hair and sensitive skin. The product is made with organic ingredients. Lemon oil helps to regulate oil production while basil oil reduces dandruff. There are many other essential oils that are extremely good for your hair health. if used too often, this product may dry hair and scalp. Krieger + Söhne is a line of hair products developed especially for men. This particular shampoo helps to reduce dandruff, prevent hair loss, and make your hair stronger. One of the main ingredients is tea tree oil which is known for its positive effects on hair health. 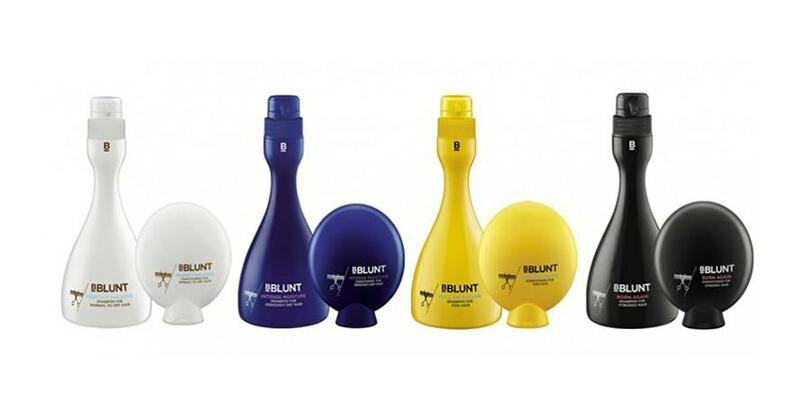 This shampoo is suitable for all hair types, be it long or short hair, oily or dry. It lathers up easily, and the scent is pleasant and fresh. 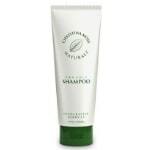 This gentle, yet effective clarifying shampoo will combat greasy hair, itchy scalp, and dandruff. It’s made with natural oils and herbs. You can safely use this product for color-treated hair and hair that has been weakened by heat styling or chemical processing. This shampoo is gentle enough to use on a daily basis and powerful enough to control oiliness and flakes. Also, it keeps your hair moisturized which is super important. 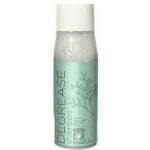 The Maple Holistics degrease shampoo is already on my top list, and now it’s a conditioner of the same brand. This Tea Tree Oil conditioner contains essential oils, shea butter, silk protein amino acids, vitamin B5, and other natural ingredients to provide you with anti-dandruff treatment and gentle conditioning. This product is suitable for all hair types, including color-treated locks. It moisturizes, nourishes, and stimulates the scalp for healthy hair growth. After using this conditioner, your tresses will feel softer, thicker, and fuller. I would recommend this product along with its shampoo counterpart to achieve greater results. The secret of this shampoo’ effectiveness is the delightful blend of natural ingredients such as tea tree oil, rosemary essential oil, and jojoba oil. 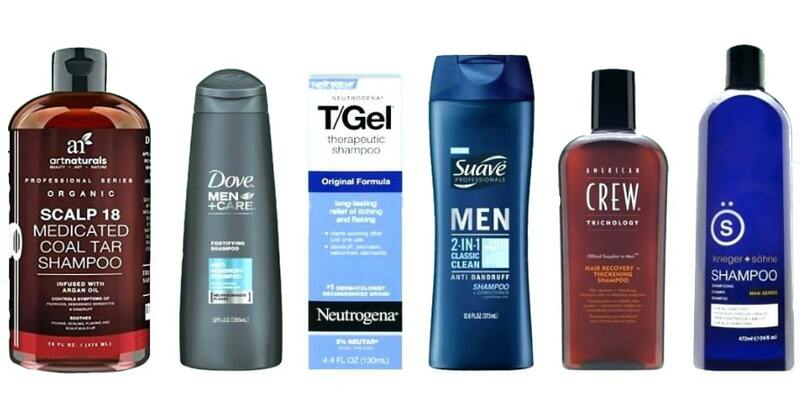 They work together to fight dandruff, flaking, and itchiness. This product works great on all hair types and textures, including color-treated tresses. I believe it’s one of the best shampoos for flaky scalp and oily hair. The fresh, clean smell is the icing on the cake. Since this product works pretty much like a clarifying shampoo, your hair may feel squeaky clean. Just don’t overdo it; otherwise, you may end up with dry locks and flakes. You’ve probably heard of John Paul Mitchell Systems, one of the leaders of salon-quality products for hair care. This Shampoo Two from Paul Mitchell helps to minimize oil production when keeping the much-needed moisture. It helps to remove build-up, so hair feels squeaky clean and light. At the same time, this product adds the perfect amount of body and volume, leaving you with fresh and shiny tresses. And the fresh, lemony smell is just awesome! if used too often, may dry hair. While most shampoos in this top list are rather costly, this one stands out for its appealing price. And it still gets the job done! This OGX shampoo moisturizes, nourishes, and strengthens your tresses thanks to the unique blend of peppermint oil, tea tree oil, and milk proteins. It’s suitable for damaged, oily, curly, straight, thin, thick, and frizzy hair. As a result, you will get smoother, fuller, and bouncier tresses that will brighten your day. For me, it’s one of the best shampoos for oily damaged hair for a reasonable price. Honeydew hair products are one of my personal favorites. This Honeydew shampoo for oily hair contains lavender essential oil, jojoba oil, provitamin B5, and other natural ingredients for nourishing and strengthening your tresses. The product helps to restore the moisture level and control oiliness at the same time. It’s suitable for all hair types, including curly and frizzy locks. However, hair may feel frizzier after using it, so beware. Other than that, it’s one of the best shampoos for dry oily hair. hair may get frizzier after washing. One more Maple Holistics product in my top list. 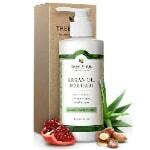 In this particular shampoo, essential oils and botanicals work in synergy to absorb excess oil and remove build-up. As a result, you get fresh and voluminous tresses that stay clean for more than just one day. The product also helps with dandruff, itching, and shedding. It controls the moisture level and strengthens hair to make it even shinier and softer. 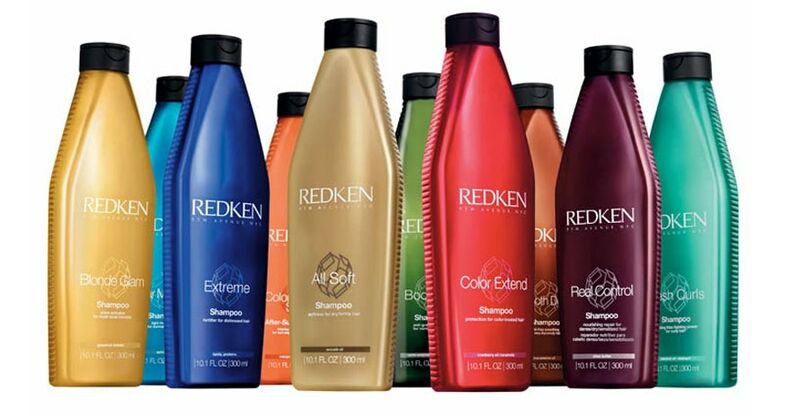 The last but not least, this shampoo is perfect for all hair types and textures, including color-treated hair. one may not like the smell of this shampoo as it smells kind of like a bug spray. Containing basil, lemon, jojoba, cypress, and rosemary oils, this shampoo alleviates grease and oil build-up on your skin. Also, it helps with dandruff, restores pH balance, moisturizes, and reduces shedding. This product is said to be safe for color-treated hair and sensitive skin. It will leave you with fresh, soft, and frizz-free tresses that look thicker and fuller. Overall, it’s a great solution for oiliness which is worth every penny. 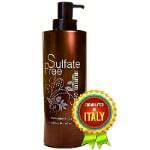 free of sulfate and paraben. 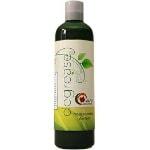 This shampoo is made with plenty of natural ingredients that are good for your hair health. Lemon essential oil, sage, and rosemary absorb excess oil and clarify the scalp, while argan oil moisturizes and strengthens hair. 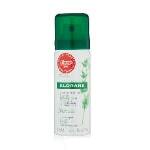 Tea tree oil helps with dandruff, eliminating flaking. As a result, you get bouncy, shiny, and thicker looking tresses that stay clean for 2-3 days. Plus, this shampoo works great for pretty much all hair types and textures: curly or straight, thin or thick. 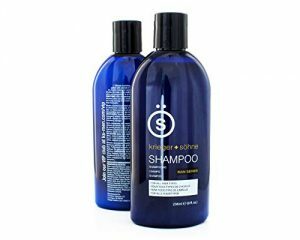 And you will probably like the pleasant herbal aroma of this product which is truly the best sulfate-free shampoo for oily hair. This invigorating and cooling shampoo contains as much as five varieties of mint, so it’s no wonder that it has this nice minty scent. These essential mint oils stimulate hair follicles and balance pH. The powerful formula unclogs pores, refreshes your scalp, and cleanses hair. I’d say this product works pretty much like a clarifying shampoo and gets your hair squeaky clean, so you may want to use it once a week or less frequently. It pairs pretty well with the Silk 18 conditioner of the same brand. Nourishing, purifying, and volumizing – what else could you want from a good shampoo? As the name implies, you’re supposed to use this clarifying shampoo once a week or maybe less frequently. 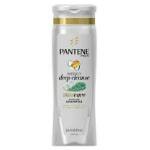 On a daily basis, you can use the Revitalize & Rebuild Daily Pantene shampoo or just your regular one. This Weekly Deep Cleanse shampoo is made to detoxify your hair from dirt and build-up, cleanse it deeply, and promote natural shine. I have to say, it gets the job done. You can complement this shampoo with the Weekly Rehab Crème by Pantene for total renewal. Although this shampoo is sulfate-free, it lathers better than many other natural shampoos. The secret is the soapberry combined with foaming coconut cleansers for making creamy, light lather. Also, it contains Moroccan argan oil, aloe vera, olive leaves, and chamomile. 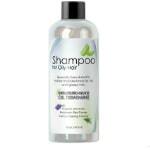 This shampoo helps to maintain pH of 5.5, moisturizes your hair, and strengthens it. As a result, you get soft, shiny, and healthy-looking tresses that will definitely brighten your day. The Tree to Tub shampoo pairs well with the conditioner of the same brand. The conditioner works as a detangler, reduces frizz, and helps to tame oily hair, making it light and bouncy. natural scent of peppermint essential oil. 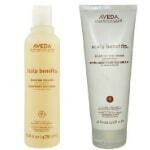 This Aveda shampoo does a great job at eliminating itchiness, dryness, and flakes. You will probably get relief from itching scalp from the very first wash. The product contains burdock root, Echinacea, and sage for nurturing your tresses. Also, the smell is nice. In a nutshell, it’s one of the best shampoos for oily hair and itchy scalp. The main drawback of this duo is its price. 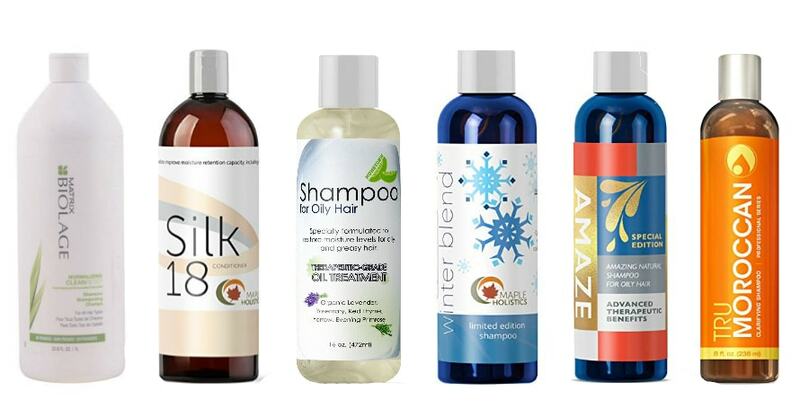 If you stumble upon small samples of these shampoo and conditioner, you may what to try them first, before purchasing the regular-sized bottles. Nettle is known for its purifying, restorative, and sebo-regulating properties. This dry shampoo is made especially for oily hair. It absorbs excess sebum in a matter of minutes, leaving your hair soft, light, and bouncy. Of course, it can’t replace a regular shampoo, and you need to wash your locks on a regular basis. But this product is quick and practical to use. 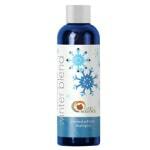 Not only it cleans hair but also eliminates odors, regulates oil production, and adds volume. Like many other products on my list, this dry shampoo is made with natural ingredients. It contains colloidal oatmeal, lavender oil, olive leaves, and other botanicals. This product is said to be suitable for all hair colors, including light brown and dark hair. However, since the color of the powder itself is something between creamy white and light beige, it may be slightly noticeable on dark hair, especially if you apply too much of the product. 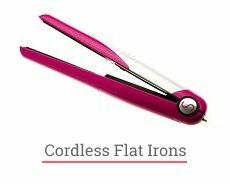 Anyway, you can brush out its excess, making your hair look fresh and less oily. you won’t be able to use too much of the product if your hair is dark. I prefer using this product once a week, as a clarifying shampoo, to remove oil and build-up from my regular shampoo. It works excellent for that purpose. Not only it absorbs excess oil but also controls the moisture level of the scalp. 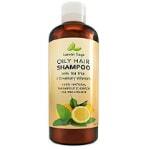 This shampoo contains micro-sponges and lemon extracts to balance your scalp’s pH level as well. All in all, it’s one of the best clarifying shampoos for oily hair. balances the pH level of your scalp. 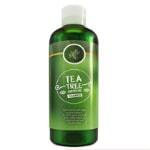 This refreshing shampoo contains tea tree essences that are known for their purifying and cleansing properties. The product doesn’t build up on hair, properly cleaning and nourishing it. What I like the most about this shampoo is this tingling sensation after washing. Plus, it has this invigorating, fresh smell. And you can pair this shampoo with the Tea-Lightfully Clean Conditioner and Blow Dry Prep Mist. BIOLAGE is one of the leaders in professional hair care who offers high-quality products powered by botanicals. 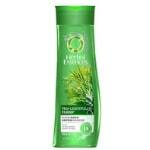 For instance, this Cleanreset Normalizing shampoo was inspired by the lemongrass plant that always seems to stay clean. It’s more like a clarifying shampoo for using once a week or less since it deeply cleanses your locks. 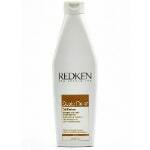 This shampoo is suitable for all hair types, including color-treated. It’s said to remove chlorine, so it’s a great product for swimmers. curly hair may become not so curly. Tip: Do not apply a conditioner on the roots. If you want to hydrate and nourish your scalp, don’t use a conditioner for that purpose. It only makes things worse as your hair becomes oily and greasy faster. You should apply a conditioner only on the ends. To moisturize the scalp, use some hair masks depending on your hair type and texture. Question: How to take care of my mane if I have oily roots and dry ends? You probably need to use more than one product. It can be a shampoo for oily scalp complemented by a conditioner for dry hair. Also, you can use some haircare oil for split ends once in a while. Make sure that the cause of your oily roots and dry ends isn’t some medical issue. If so, you should visit your doctor. Tip: Wear caps made of natural materials. In cold weather, our hair suffers not only from wearing a cap but also from rapid temperature changes. You should definitely wear a hat to protect your locks, scalp, and brain, you can somewhat improve your scalp state in winter. If you’re the one to have oily hair, wear caps made only from natural materials and try to avoid frequent temperature changes. So, I guess this is it! We’ve talked about the common causes of greasiness and oiliness and how to manage oily locks. 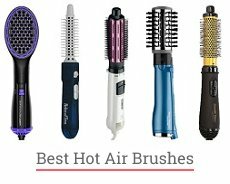 And now you have this top list of the best shampoos for oily hair, so I hope choosing one wouldn’t be a problem anymore. Take into account your hair type, texture, and overall condition to pick the perfect shampoo, conditioner, and other hair products for you. Girls, do you have any other questions about oily hair and how to take care of it? Which one do you find to be the best shampoo for oily hair or the best conditioner for split ends? I will be happy to answer your questions in the comments section below!